It’s a common conception, among independent professionals, that getting a mortgage is an arduous process filled with red tape and hoop jumping; especially in the current uncertain times. However, securing a mortgage as a contractor might be less challenging than you think. To find out more about contractor mortgages, we sought the help of some local experts. Oviso are an award-winning financial services company, specialising in small businesses, freelancers and contractors. Their story is similar to ours: experts in their field who came together to offer a niche service; based on sound financial advice and client focus. We caught up with Lee Mortimer, Director of Oviso, to discuss the opportunities available for contractors who are planning on purchasing property; as well as some useful tips to maximise their efforts. Lee’s happy to inform us that the process of getting a mortgage, as a contractor, is often more straightforward than you’d suspect. The figures reported in the media tend to focus on the London housing market; as such, they’re not always an accurate portrayal of the rest of the country. Typically, when it comes to applying for a mortgage, contractors fear they’ll have to front monstrously large deposits. But these huge deposits usually aren’t needed, with many lenders having deposit requirements of 10 or even 5% of the property’s value. Naturally, the larger the deposit the less risk the lender will be taking on – you’re more likely to get a better deal with lower rates and repayments. However, there are many options available for first-time contractors or those without a vast savings store. Lenders need to understand your income to ensure the affordability of your future mortgage payments. This can seem like a worrying prospect for those of us without a standard income. Thankfully many lenders use a variety of methods to judge contractors incomes for mortgage applications. Some lenders will work off the applicants latest contract; taking the day or project rate and extrapolating it to work out a weekly rate then, over 46/48 weeks, an annual income. Others may use the contractors’ limited company or sole trader business for their assessments. Some lenders may focus on the company’s net profit over a fixed time while others may concentrate on salaries and dividends. Be sure to shop around a variety of lenders to find the option that best suits you. Before beginning a mortgage application, take the time to ensure all your accounts are in order. Even with a good income and deposit, a mortgage application can still be refused if you have a poor credit rating. Keeping within overdraft limits and maintaining any payments will help you to maintain a good credit rating. Lenders will likely want to see other aspects of your accounts also; such as previous bank statements, your businesses account history, tax assessments and calculations and of course standard documentation like proof of ID. It’s worth getting organised early. Lenders will typically want to see your contract history and evidence of future agreements. ‘The majority of lenders will be looking for evidence that you have been contracting, or at least working in the same industry, for two years. Some lenders will want to see that there is no more than eight weeks between each contract. So, it may be best to put any prolonged periods of absence, such as travelling or personal project time, on the back burner. Despite these track record requirements, there are lenders willing to lend to contractors with only twelve months experience. First-time contractors still fairly new to the market can still get their foot on the property ladder. As a contractor aiming for a mortgage, keeping all your previous contracts to hand is a sensible option. It’s also worth keeping an up to date copy of your current contract that clearly states the length and payment rate. One of the most important things a contractor can do to secure a mortgage is finding an experienced mortgage broker. Preferably, one specialising in working with contractors and other independent professionals. Bank staff may be unfamiliar with the contracting world and many of us (what with running our own contracting businesses) will often be unable to put in the necessary effort to ensure we’re getting the deal that best suits us. 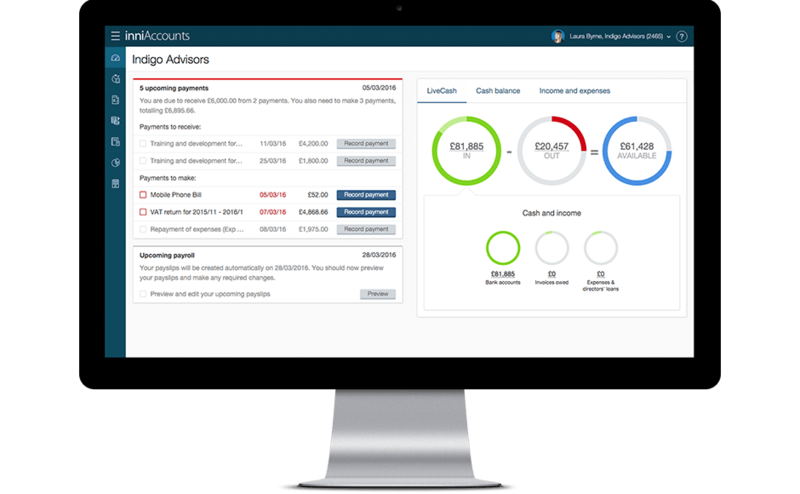 Here at inniAccounts, we have developed a relationship with Oviso; who are able to advise contractors and recommend suitable financial products from a comprehensive range of mortgage providers across the market. For further information on contractor mortgages and Lifestyle Protection Insurances, take a look at our Knowledge Hub.